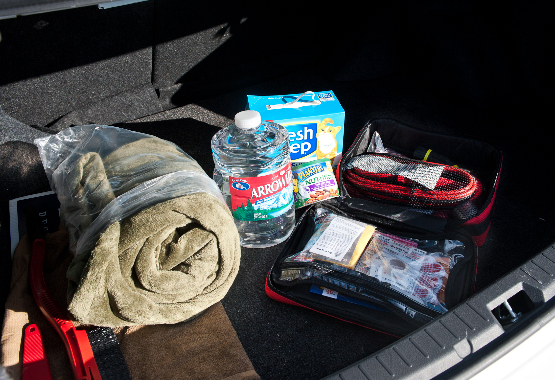 Have you ever asked yourself how you can keep your car in tip top shape and make sure you are prepared for any type of emergency? We know that there is a lot to know when it comes to cars, but what is really important? 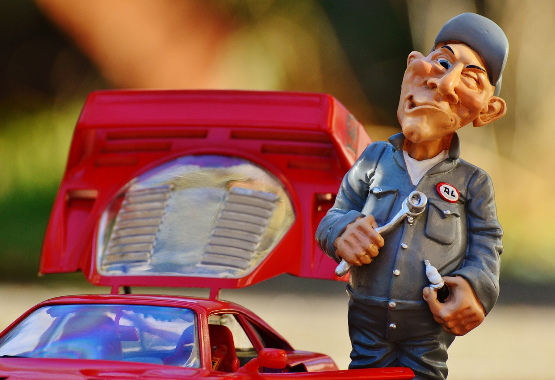 We compiled a list of 10 things every car owner should know in order to stay save on the road. One of the most important safety aspects of your car is the tire pressure. A low pressure will increase the surface that touches the ground and cause friction between the road and tire. This will make your wheels wear down faster and could cause a flat tire. A high pressure on the other side will reduce the surface that touches the ground and lead to an increase of the stopping distance. Making sure that your tires have the right pressure also improves the fuel efficiency. A spare tire is more than decoration, it could become a lifesaver when you are on the road and one of your wheels runs out of breath. Make sure you know where your spare tire is located and that you have the necessary tools ready. It is also important to regularly check the pressure of your spare tire. It would be bad to be stuck in the middle of nowhere with a spare tire that’s even worse than then the other one. If you never had to exchange a tire yourself, it might be a good idea to try it once at home so you know what to do in a case of emergency. I know from my own experience how frustrating it is to drive in heavy rain with windshield wipers that don’t work properly, so learn from my mistake and make sure your wipers are in good condition. If the blades start to show signs of abrasion have them exchanged. I can’t stress enough how important it is to check and refill or change these from time to time. You can always take your car to the next car repair shop and have them take a look, if you do not know how to do it yourself. There are several reasons for you to make sure all your lights work. The most important one is of course safety, it is really dangerous to drive in the dark or bad weather with broken lights. Keeping an eye on your lights also gives you a way to avoid getting pulled over by the cops, which is also good reason. I know most people do not read instructions, especially guys. But you want to make sure that you at least know what the different signal lights on your dashboard indicate. While it may not always mean that you're going to destroy your car if you continue to drive it, in many cases they do indicate major problems. And while you are at it you might as well go through the rest of the manual, just saying. Something most people do not know about but exchanging your air filter from time to time will help to prevent your engine from getting clogged and makes sure you are not burning more fuel than necessary. Brakes are another important safety feature that you should never overlook. Depending on the way you drive and different environmental influences they can wear down faster than normal. Have them checked regularly to make sure they work when you really need them. I know some of them sound a bit exaggerated, but you never know when these might come in handy. They could be life saving and it is better to be safe than sorry right. Always keep a pair of jumper cables in your trunk –you never know when they will come in handy. First turn off all energy users of the dead car (radio, lights, etc.) and then turn off both cars and start with the dead battery. Put a red clamp on the positive (+) terminal of the dead battery and the other red clamp to the positive terminal of the live battery. Attach the first black clamp to the negative (–) terminal of the live battery. Then attach the final black clamp to an unpainted metal surface on the dead car's engine block (prevents sparking). Turn on the live car, and then try to jump-start the dead car. If the dead car starts you can turn off the live car and remove the clamps. Run the dead car for at least half an hour to charge the battery. Get a good mechanic, this sound simple but a skilled and honest mechanic is hard to come by. If you find one, hang on to them--tightly. Ask friends and family for recommendations or look for reviews online. Don't just pick the first one you come across just because they give you the cheapest rates. Take your time here. You’re putting your car’s safety and performance into their hands, so make sure they’re good at what they’re doing. "Did I get an oil change last year?" That's never a question you want to ask yourself. Keep a logbook for every time you, or a mechanic, perform maintenance on your vehicle. Keeping these things in mind will make sure you can rely on your car for years to come and keep driving with a good feeling.